With every new headline, every Geiger counter reading video, each and every news report, we see more and more people start to wake up to what Alternative Media has relentlessly hammered home which is how dangerous the situation at the devastated Fukushima nuclear plant still is, not only for Japan but for the world. ENENews reports on Thursday the Aljazeera is reporting in a four part series, two of which are up on their site and a few quotes from them below. In the video the MSM, namely ABC, still downplays the effects of the radiation that is already in the West Coast by claiming it is “coming” and shows experts concerned about an “unprecedented amount of migrating radioactivity. Vega: A lot of cesium you just found. 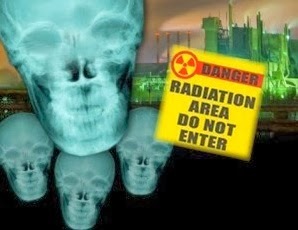 [Radiation expert Dr. Shinzo Kimura] says it’s just what he suspected. […] [Levels off Fukushima] are still 1,00 times higher than before the meltdown. And the effects of long-term exposure for people and the environment are still unknown. Ken Buesseler, Senior Scientist at Woods Hole Oceanographic Institution: We’ve seen Tepco for 2.5 years trying to stop leaks, trying to decontaminate – it’s just not working. […] We’ve never had this much radioactivity released accidentally into the ocean. So now the question is: ‘How long will it take to work through to the land – to the ocean from the power plant, into the sea life, and across the Pacific?